Urban Decay is best known for its Naked eyeshadow palettes, but their entire beauty product line is incredibly popular (and amazing). Their new eyeliners have made a huge splash, blowing up all over social media, but not for good reason. Urban Decay’s new line of liquid eyeliner is called Razor Sharp, referencing the thin and sleek line the product creates. The name of the product is not what has Twitter in a tizzy though; it’s how Urban Decay chose to advertise the eyeliners that has people upset. 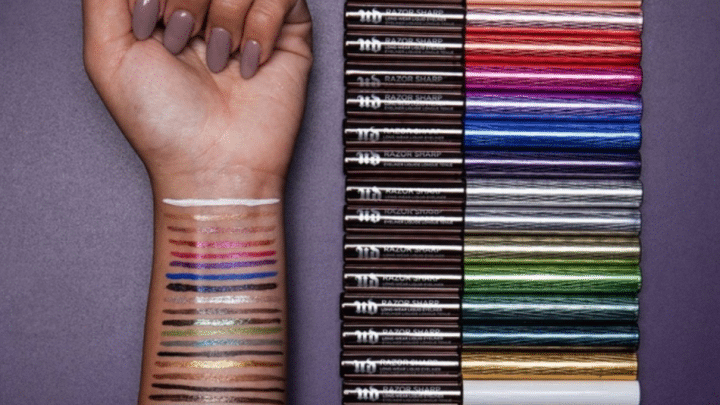 Instantly, Twitter exploded with tweets calling out Urban Decay for referencing self-harm. Those who criticized the brand expressed that the thin swatches, paired with their location on the model’s arm, as well as the line’s name, Razor Sharp, was simply in poor taste. this is not ok… "razor sharp" really? And the placement of the lines on the wrist? Seriously bad taste… This is a trigger. @Adweek granted, this is body part where people typically do their swatches… But when u match it up w/ "razor sharp"…risky.. Though Urban Decay certainly did not intend to make a self-harm reference in their ad, it seems that a closer look at the ad and different phrasing could have avoided this controversy.